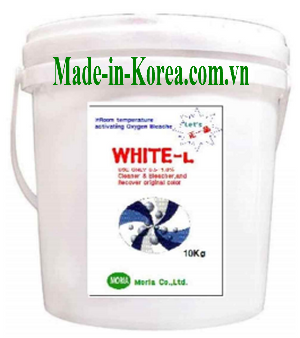 Chemical whitening import Moria is line product of luxury laundry chemical in Korea,applying biotechnology,which is not only completely clean, but also friendly environment. 2. 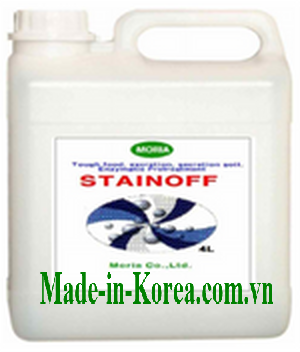 Whitening and maintain the color of the fabric, do not discolor or bleaching textiles. Water temperature: 20 ~ 30 ° C, dilut with water in proportion: 1oml "20ml water. Milk, meat, soup, blood, chocolete, etc. Use brush to cover lightly on stains.